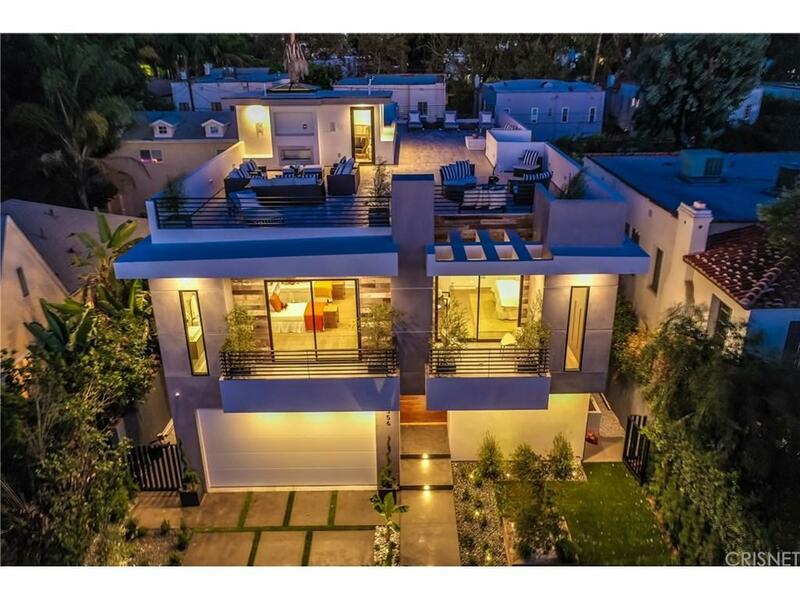 Ultra modern sleek and luxurious new construction at its finest in a highly desirable of Beverly Grove. As you enter, you are greeted with beautiful landscaping that will ease your way into an inviting and open floor plan that leads you to an entertainers spacious backyard. A 20 foot waterfall falls from the second floor master balcony bridge into the infinity pool as well as an HD projector projecting a movie to watch from the spa. 5 bed 5.5 bath, each bedroom is en suite, reclaimed wood, control four system, LED lighting throughout, gorgeous wine cooler ,top of the line appliances and finishes. A movie theater with 6 automatic reclining premium leather seats allows for fun and relaxation. The third floor brings you to an impeccable roof deck with a New York vibe with stunning views of Hollywood Hills. Focus and attention to detail has been perfected to touch all around like you have never seen before. Located next to the Beverly Center, The Grove, Sunset Strip, SLS and Sofitel hotels and trendy spots. Sold by Adi Perez BRE#01934884 of The Agency. Listing provided courtesy of Sharon Ghodsizadeh DRE#01934884 of The Agency and Adi Perez CA DRE# 01963659 of .